If you made music in Newark before the 1830, it was pretty much an individual matter where you hummed a lullaby to your child, whistled a command for your dog or horse, or sang in a church choir. Before this time, there were no pianos in the homes of even the richest families, no concert hall in which to enjoy a musical evening, nor any musical establishment pouring out music to the public. The first stirrings of modern music began in the churches and later spread to a series of new concert halls. At Old First Church, Amos Holbrook arrived in 1814 to supervise the congregational singing. Massachusetts-born and a graduate of Dartmouth College, he conducted the choir at Old First Church for 13 years before moving to Second Presbyterian Church. One of Holbrook's sons, Albert, became a prominent Newark publisher, and printed the old Newark city directories until his death in 1891. The first musical instrument to appear in Newark was the church organ. In 1819, an organ was built at Trinity. The organist, a Mr. Bowden, was succeeded by Alexander Prisson, who remained there until 1849. In 1834, Henry Pucher built an organ at First Church. Within a few years, other large downtown churches followed suit, including Grace Church, St. Patrick's, First Reformed and the Universalist Church. Soon a public already accustomed to good organ and choral music was ready for a next step—the development of large singing societies or choral unions. Newark's first choral society was established in 1830, led by Amos Holbrook and John W. Poinier. The following year, the Newark Handel and Haydn Society was organized largely through the efforts of Jabez Pennington, initially performing only simple church music and anthems. In 1837, Handel's 'Judas Maccabeus' was performed at Old First Church, a major musical milestone in a city just beginning a musical tradition. So successful was the performance that it was repeated a second time for the benefit of a local charity. The oratorio of Matthew Peter King, 'The Intercession, ' was performed at Grace Church in June 1839, and again at Trinity Church in January 1840. Other singing groups of this time included the Mozart Sacred Society and the Amateur Glee Company. While these were impressive groups, they tended to be short-lived. Yet the public's desire for good music had been established and continued even though the societies vanished. This period was also important because for the first time, well-known artists began visiting Newark. Henry Russell, a respected English singer, sang at Trinity Church; Madame Caradori-Allen gave a concert in old City Hall, and William King, organist at Grace Church New York, performed in Grace Church Newark. Ole Bull, the famous Norwegian violinist, gave a local concert, as did Henry C. Timm, noted New York pianist and one of the founders of the New York philharmonic society. Many German singing groups also existed. The Eintracht Maennergesang Verein was founded in 1847, led by Henry Feigle. A look at the Newark directories for the period reveals many other groups providing a social and musical outlet for Newark's German-American community, which was rather considerable. Another famous group was the Anon Choral Society, which merged with the Ladies' Anon Singing Society. Glee clubs were also popular; the best known was 'The Four Jims, ' which included James W. Alden, James Carter, James Gamble and James Ross. Other groups included the Newark Quartet Club and the Eolian Quartet. In 1855, Newark witnessed its first opera. Weber's 'Der Freischuetz' was sung in German at the old Newark Theatre at Halsey and Market streets, by an opera company, probably from New York, and conducted by Julius Unger. Other operas performed about this time included 'La Traviata,' 'Daughter of the Regiment,' 'Norma,' 'Trovatore,' 'Lucrezia Borgia' and 'Cinderella.' For the first time, Newarkers were listening to opera sung not only in English but French, German and Italian. In the 1850s and 1860s, the Newark Harmonic Society was the child of the Handel and Haydn Society and the Sacred Music Association. In its nearly 30 years of existence, the Society gave many important concerts. According to one account, 'It was an oratorio society from the first, and at every concert an oratorio or cantata or part of one was performed, most of which were sung for the first time in Newark.' In its last season, in 1888, it performed Dvorak's 'Stabat Mater' and Buck's 'The Light of Asia.' The Newark Madrigal Club was created in 1886, and was made up of mixed voices gathered for a benefit of St. Barnabas Hospital, which was still on High Street at the time. The Orpheus Club came into being in 1889 under the direction of Samuel Augustus Ward, organist at Grace Church, and gave three concerts annually. 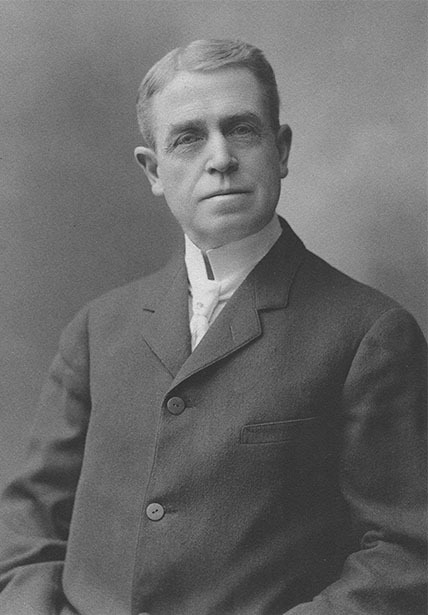 It continued under the direction of Ward for 14 years as one of Newark's most successful musical organizations.